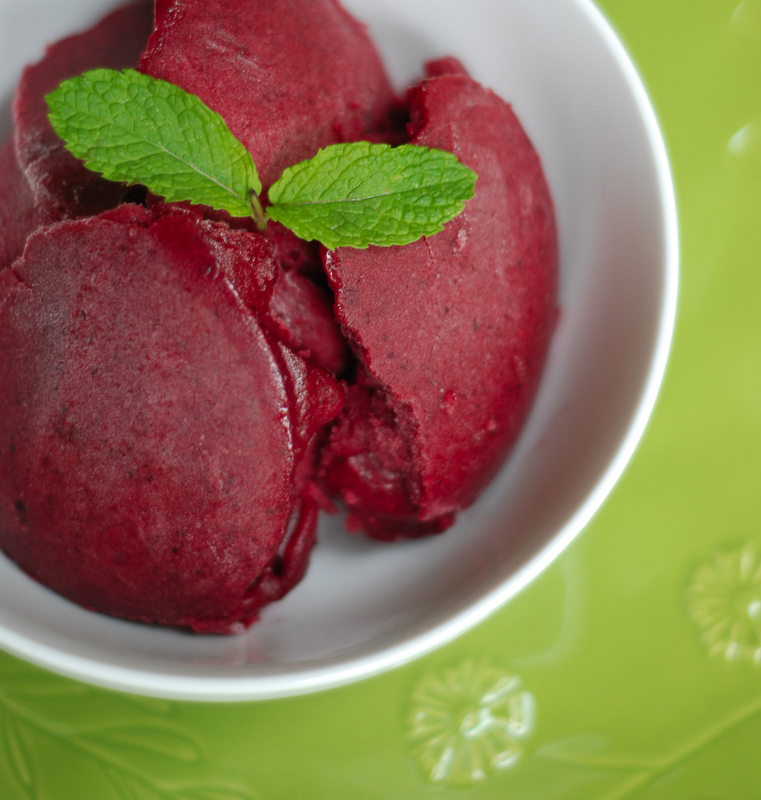 Now that summer is upon us, it’s time for frozen desserts! Whenever possible I like to make my own. This way it’s fresh, there are no preservatives, and I can limit the amount of sugar that goes in. One of our favorites is simply orange juice frozen into popsicles. 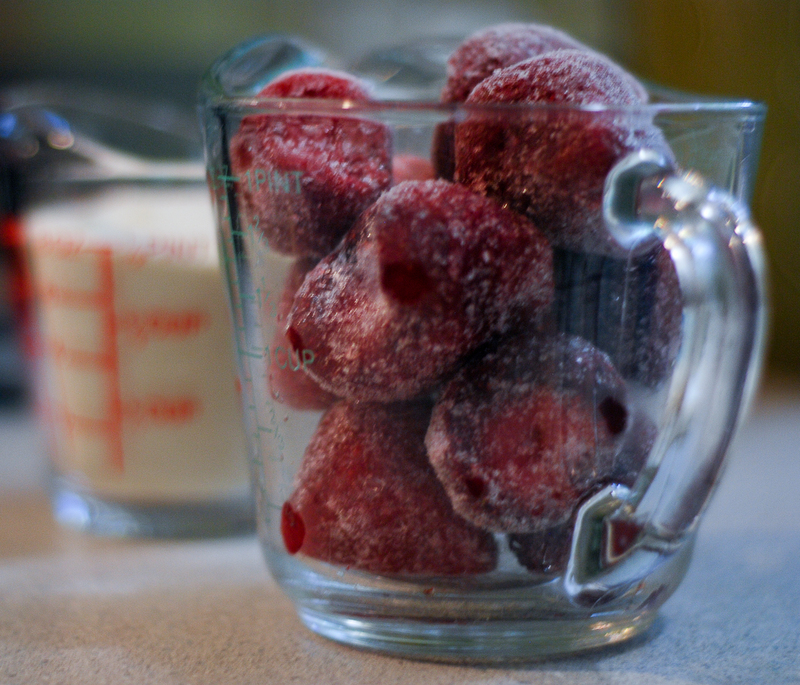 There’s nothing easier than that – just pour the juice into the molds, stick them in the freezer and wait. E-Z! Since we got the Vitamix, however, I like to get a little more creative. Some days we make ice cream – the sky is the limit: vanilla, chocolate, blueberry…it’s a great way to get my “I loved blueberries until you told me they weren’t grapes” kid to eat those, and you can sneak just about anything in there. Normally I wouldn’t add bananas, but there were some in the freezer that needed to be used, so I threw them in. You can use whatever fruits you like, but bananas definitely weigh it down a little bit. (Also, as Mollie says – blackberries and raspberries don’t work well because of their seeds.) 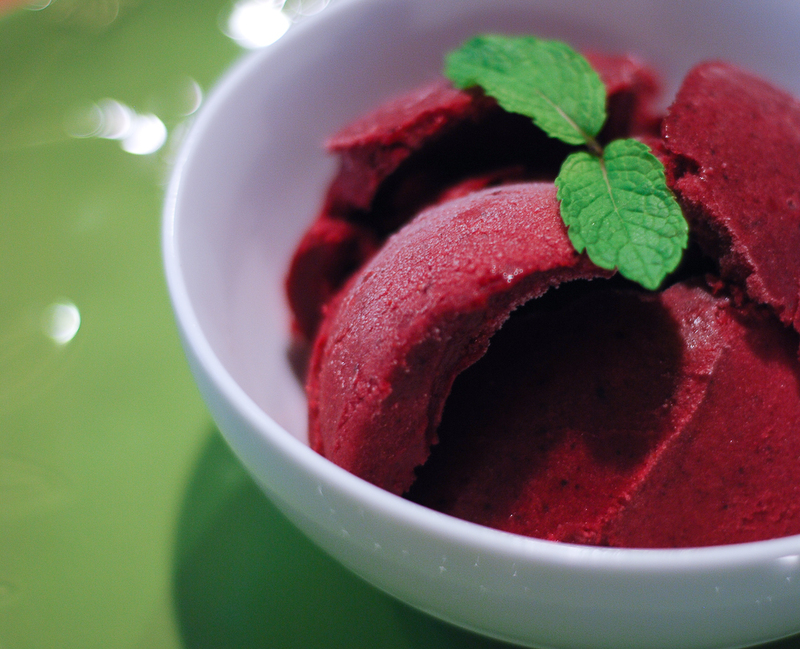 I’d also add more simple syrup normally to get that “real” sorbet taste, but in the interest of keeping the added sugar down today I used less. She seems to like it just as much that way. I didn’t weigh the simple syrup when I made it so I’m just counting it as 1 tablespoon of sugar. This is so easy and quick – and you can play around with different fruits, lemon and/or lime juice, varying amounts of sugar (or none at all)! It’s a delicious way to take advantage of all the summer fruits being harvested now…so get to your farmers market and stock up! I would love to hear what other flavors people have tried – if you make this please tell me what you did and how it turned out! Thanks to nutrimirror for making it so easy to get the stats on the foods I eat!